In a recent downtown Boston accident, a pedestrian was seriously injured. According to 7NEWS, it happened at the intersection of Stuart and Berkeley Streets. The pedestrian was on the sidewalk when the accident happened. Officials report that it was the result of a chain reaction-type accident involving three vehicles. The pedestrian was transported to Mass General Hospital. 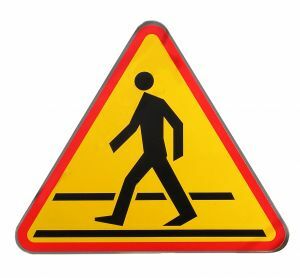 Though the number of pedestrian fatalities fell from 5,585 in 1995 to 4,280 in 2010, there were an estimated 70,000 reported pedestrian injuries in 2010. While the decline is uplifting, it may be an illusion. Officials believe that hospital records aren’t even the tip of the iceberg when it comes to pedestrian accidents, injuries and fatalities as many are never even reported to the police. Our Boston pedestrian accident lawyers understand that there are roughly 2 million pedestrians each and every day in the city of Boston. Less than 1 million call our city home, but when you factor in all of the workers and tourists to the area that number swells. With such a high number of people walking throughout our area, pedestrian safety is an issue of critical importance, according to the Boston Public Health Commission. -About 12 percent of pedestrians crossed the road when the “walk” signal was activated. -About a third of pedestrians jaywalked. -Close to 100 percent of drivers yielded to pedestrians when the walkers have the right of way. -About half of drivers yielded to pedestrians who were crossing the road against the light. -Pedestrians have the right of way whenever they’re in a crosswalk that doesn’t have traffic signals. If you fail to yield to a pedestrian in a crosswalk you could wind up with a fine of $200. -Drivers should always yield to pedestrians when making a turn. Pedestrians can seemingly come from nowhere. Make sure you’re ready at all times. -There are special challenges when dealing with elderly pedestrians, including slower pace, increased distractions and visual limitations. Make sure you’re considerate of their conditions. -It is important for drivers to be on alert when backing out of driveways and parking spaces. Remember that pedestrians are everywhere. -Whenever a bus is stopped with it’s stop sign signal extended, make sure you stop as well. Be on the lookout for young passengers. -Slow it down. Speed accounts for about 25 percent of traffic accidents. Speeding doesn’t even save you much time in the long run anyway. The Boston Transportation Department seeks to improve pedestrian safety on residential streets by implementing measures that slow vehicles down and limit cut-through traffic on those streets. Did you know? In Boston, over 3 pedestrians are injured every day. And we can all do our part to help to reduce the risks of these kinds of accidents. Pay more attention out there and remember that pedestrians have rights to our roadways, too. We need to work together. If you or someone you love has been injured or killed in a pedestrian accident, contact Jeffrey S. Glassman for a free and confidential consultation to discuss your case. Call 1-877-617-5333.